What was the inspiration to create ‘English as A Second Language’ as an exhibition? How did the idea for the exhibition come about? Shonagh Marshall: My last exhibition and book project, entitled Posturing, explored pose in contemporary fashion photography. Hanna and Joyce were both a part of this and when Somerset House and I began speaking about working together on an exhibition, I was keen to further explore some of the themes that had begun to percolate. To launch Posturing the book, published by SPBH Editions, we did an event with Joyce in her native Hong Kong. I began thinking around the way Joyce, and Hanna from South Korea, must have felt when coming to study at Central Saint Martins in London. How did they see the world differently and how has this informed their practice? There is [a] huge influx of Asian students in amongst Western universities, a product of increased globalisation, how will this begin to shift our thinking — in this case aesthetically — but also in terms of mathematics, science, literature? Within my curatorial work, I like to inspire questions in the visitor, in the hope that they leave inquisitive, eager to find or think more about the subject. 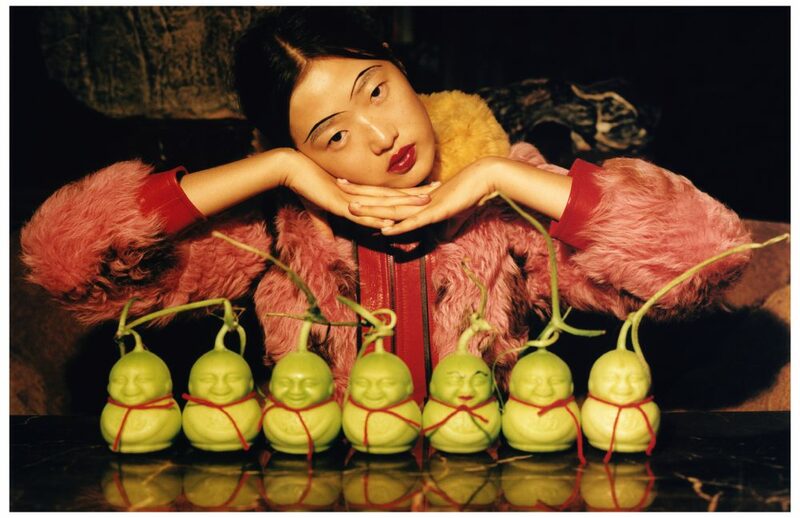 Why did you decide to centre an exhibition around fashion photography solely? What do you feel it offers that other mediums don’t? 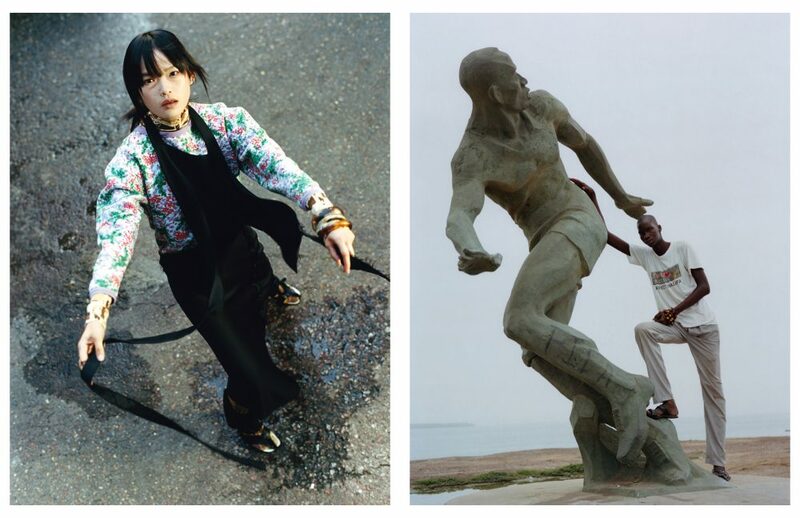 SM: Fashion photography is a mirror to our times, picking up on the social, political, economic issues of the day. 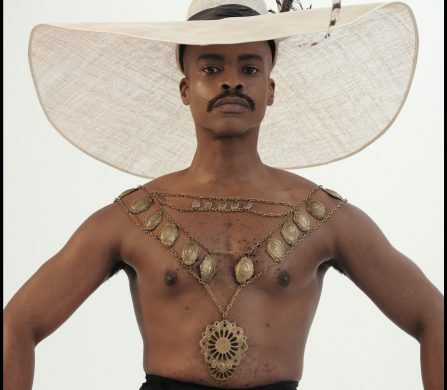 It doesn’t necessarily suggest a new way to look at the world, like good contemporary art does, but it pokes at the zeitgeist; framing social issues such as race, sexuality, gender in a new way. How do you feel the exhibition “celebrates the vitality of international perspectives” within the multicultural hub of London? SM: The exhibition provides two case studies in Joyce and Hanna, inviting their perspectives on Britishness, beauty and the Somerset House site. This doesn’t claim that their views represent the many, but the show hopes to draw upon the complexities around terms such as ‘multicultural’ or diverse. For you, Hanna and Joyce, how did you get started in fashion photography? What did you feel it had to offer as a medium starting out? 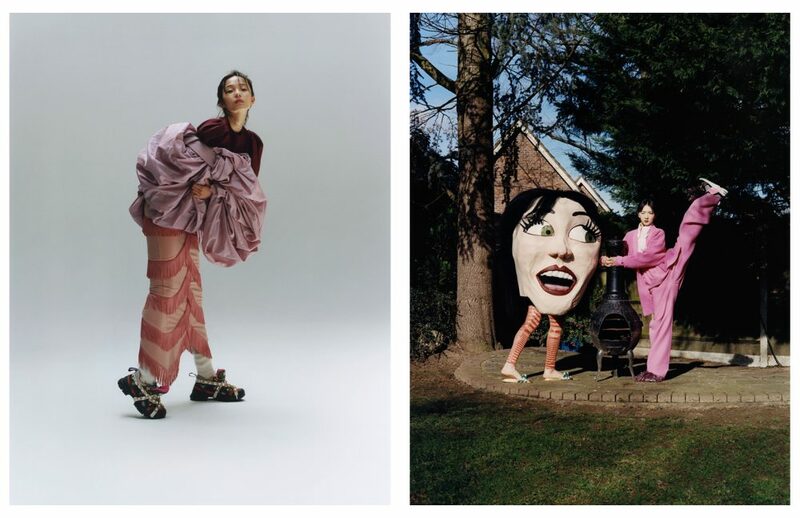 Joyce Ng: I thought I was into graphic design, and then production, and then art direction, and then casting, before I set my head on photography. It was at [my] final year in Central Saint Martins when I tried to make photos by taking care of clothes, cast, art direction and asking classmates to shoot. I realised it was costing more time and effort and [was] also not enjoyable for either my friend or [me] to boss him with his camera around. I’m easily intimidated and the type to not try something, fearing of failure. Hanna Moon encouraged me non-stop to order a camera and guided me along the way. Hanna Moon: I moved to London about eight years ago to study as an exchange student for a year at CSM. I actually had no idea what I was walking into, didn’t know what to expect to learn. It was very new to me that the course wasn’t really ‘teaching’ you much, it was more about guiding you to make your own work, which I haven’t really experienced before while studying in Korea. I had to take pictures to deliver the projects, and I was really enjoying it. 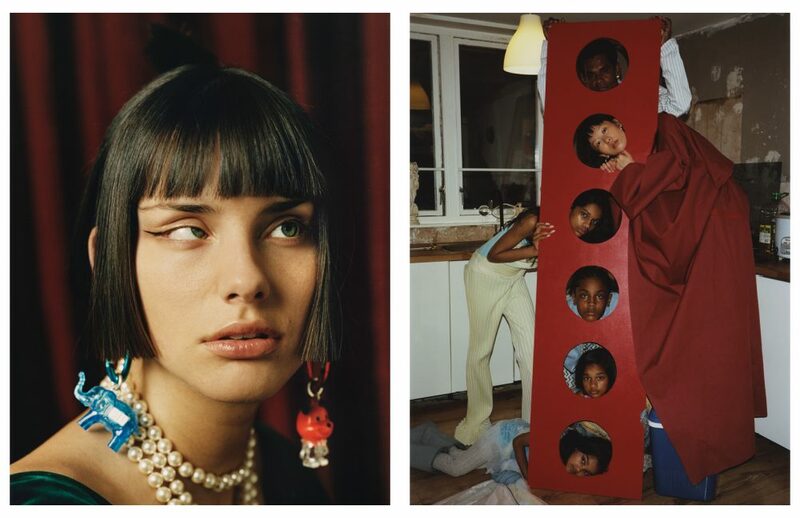 I started working for Tyrone Lebon when I had a sandwich year at CSM, I learnt a lot more of the technical side. Ever since then I have been taking pictures non-stop! Has this perception changed as your experience grows? Are you less enamoured with the medium or does the initial infatuation remain still? HM: I think photography is moving in two opposite directions, very crafty or very instant. People will always look for something completely opposite as a reaction to one phenomenon. I personally think the medium isn’t the most important thing in image-making, but there are certain things you can’t replace by technology. One of my favourite themes of photo books is people’s sketchbooks and diaries. I am not sure how [those] can be replaced by anything else. 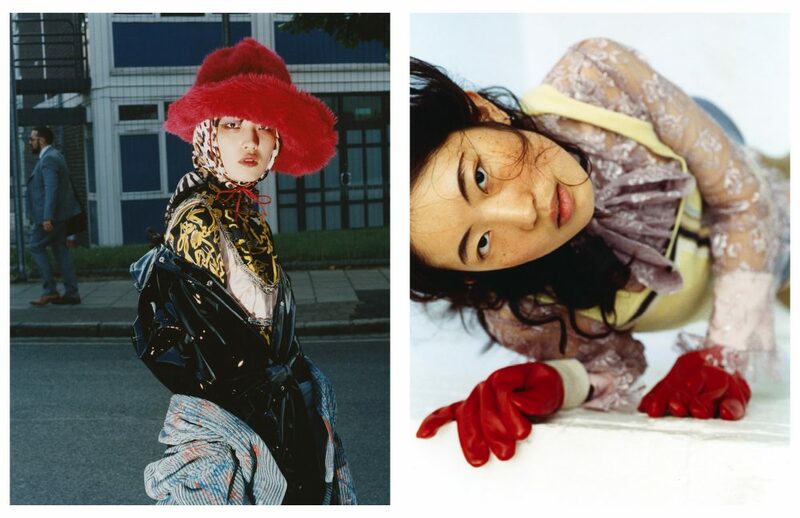 Being Asian-born and London-based, how do you find the British cultural background, specifically in fashion, to work? Why did you decide to make of Britain you primary camp? JN: I didn’t grow up with the same type of visual or cultural stimulation I received in my London university years. The main visual stream was ads and tabloid covers at 7-Eleven. The way we interpret language and symbols sometimes separate us on another dimension of thoughts, as opposed to someone who grows up in a mono-dialect world. We both came to London not expecting quite what is to come after our English education and left university with an altered way of communication. HM: It is quite interesting to see how people react to my existence as an Asian female photographer — I would often be mistaken as a hair or make-up artist’s assistant when walking into a shoot with a new client. My name doesn’t really suggest any clear nationality, it’s my original Korean name so people can’t easily guess how I will look. I started to appreciate my background more working as a creative living in a different country. I feel the industry we work in is becoming more open-minded and interested in seeing something different to what they have seen before. How did you approach the task to respond directly to the Somerset House settings? HM: I think the most personal work reaches out to [the] audience the most. I tried to produce work I think best represents me and my practice and took time to think about how best to connect the history of Somerset House with fashion and my approach to photography. 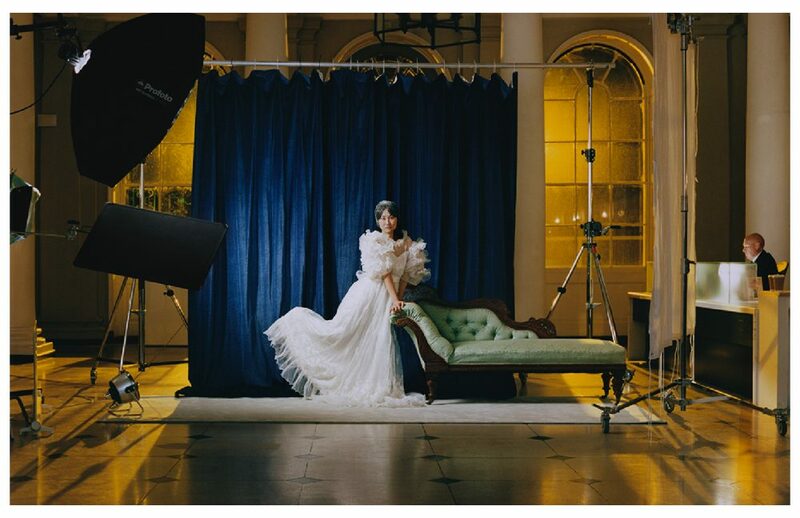 My idea was to subvert the brief and invade Somerset House, shooting images of my two muses Moffy and Heejin in different locations at night. JN: I love a tight brief. It had to be about Somerset House. I had the idea of capturing different characters journeying to Somerset House, inspired by the novel Journey to the West. I took off at Somerset House, sending a postcard home to parents that I’m “Safe in London!”, brought in a Chinese stereotypical element to its architecture, and cast directly from Somerset House’s visitors and community over the course of one month. Is there any quality you specifically look out for when casting people? JN: Street-casting is an important element of my work. It forces my introvert self to fake confidence and speak to strangers. I’m drawn to people who are introverted like myself and often pleasantly surprised to hear I find them beautiful. Hanna, why did you select only these two muses? 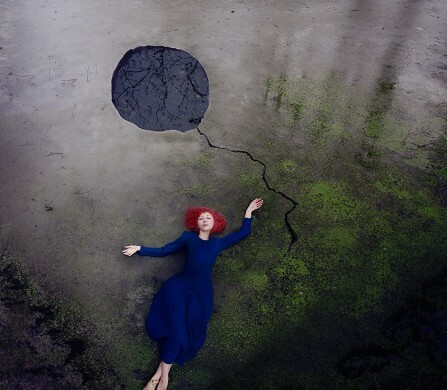 HM: For me, the relationship with your subject is what makes a compelling, emotive photo. That’s why I love shooting Moffy and Heejin so I can catch the intimacy between us. It’s more of a mutual interaction between me and the model, rather than being one-sided. 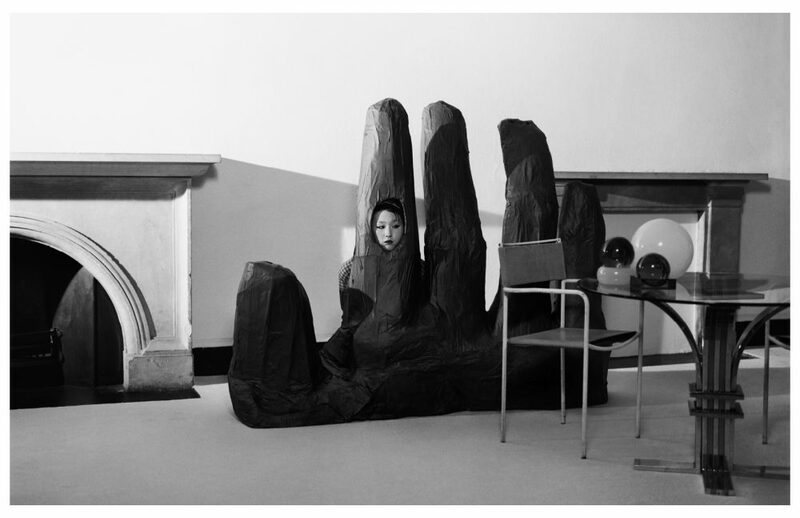 ‘Hanna Moon & Joyce Ng: English as a Second Language’ is on show at The Charles Russell Speechlys Terrace Room Series, in Somerset House from January 25 until April 28, 2019.